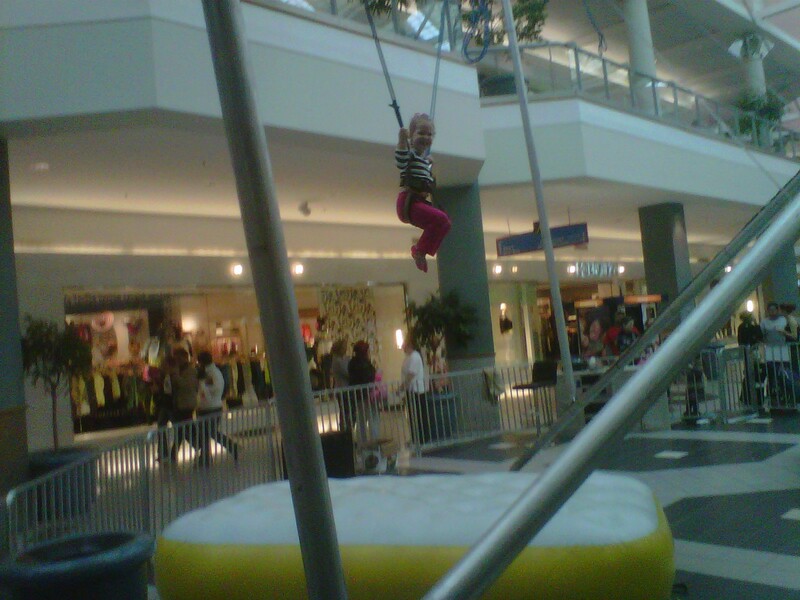 I posted the other day about how Grace surprised me at the Children's Museum and was a lot braver than I expected, well, she shocked me yet again. 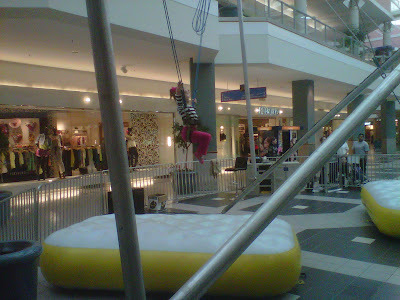 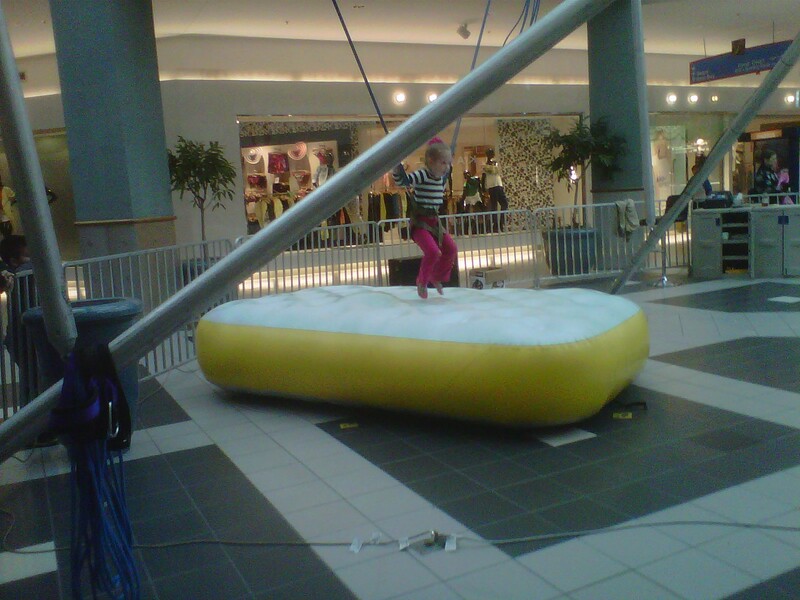 At our local mall they have an indoor jumpy thing you can do, you need to be between 30-230 pounds to do it. 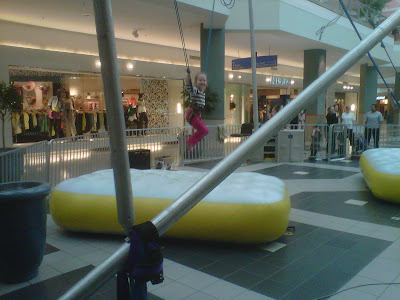 Grace asked to do it. 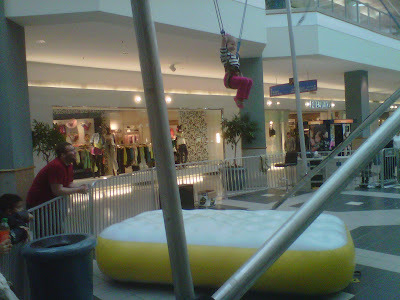 I thought for sure once they strapped her into the harness that she would chicken out and change her mind. 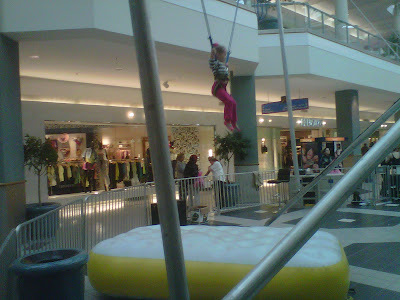 I was SO wrong! She loved it! 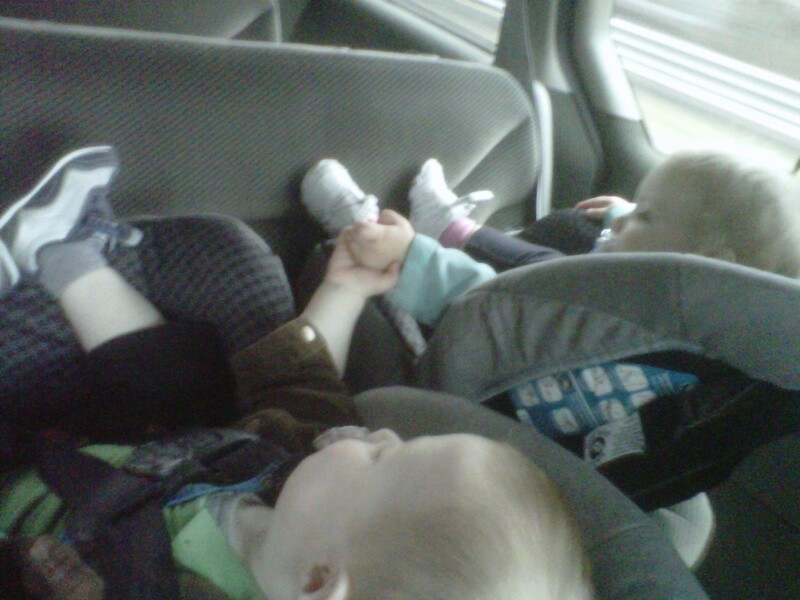 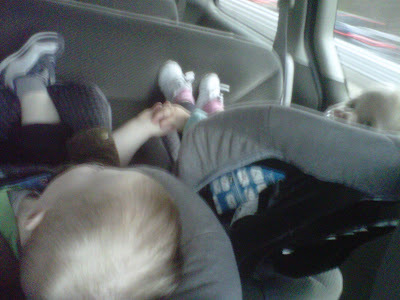 On the way home from the mall I happened to look back and catch the babies holding hands!